Stylish bench style fast food seating with a Beech plywood bench. Available as standard as a two and four-seater. Manufactured to a high standard in the UK. Special sizes are available on request. Stylish canteen furniture with a one-piece beech ply seat. 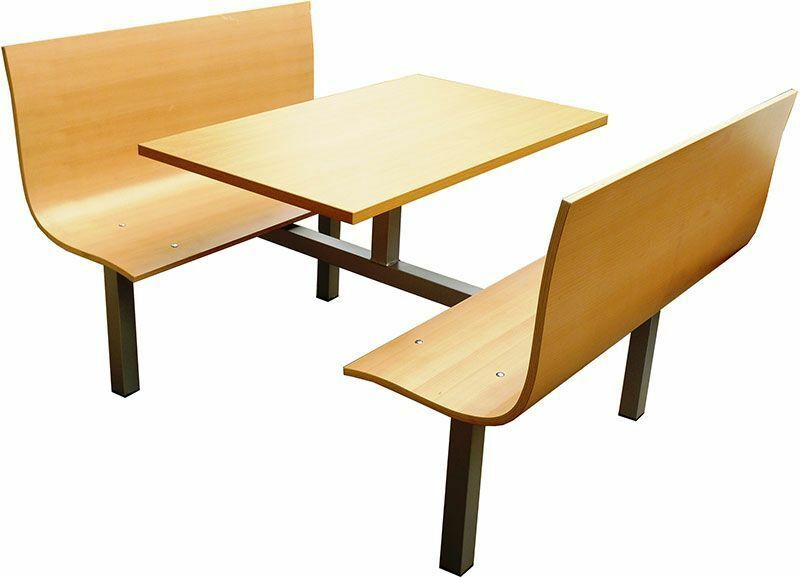 This range of canteen furniture has a five-year warranty and is suitable for commercial use in canteens and cafes. Please contact us for further information on this range of café furniture.